How were the prisoners able to organize the strike? Reporter Michael Montgomery told NPR that "inmates were able to coordinate the hunger strike through letters and visits, and families and advocates have helped get the word out to prisons throughout the state." Laura Magnani, a nationally known expert on solitary confinement, told The Guardian that leaders of the strike are also defying their isolation to organize the mass protest. When is the last time this happened? In the past two years, three hunger strikes have been conducted to protest conditions in California state prisons, and some have actually been successful. After the 2011 hunger strike (during which 11,600 prisoners protested), some of the strikers' demands—such as lifting the ban on inmates taking and sending photographs of themselves to family members—were met. In addition, the California Assembly met and altered the gang validation procedure (the procedure that determines if an inmate should be put into solitary confinement) so that an inmates could be deemed a gang member based on behaviour, not on association with other inmates. What are the strikers' demands this time? The strike began as a protest against the use of solitary confinement, which they claim is equivalent to torture. Other demands include more adequate nutrition, ending group punishment, putting a 5-year limit on solitary confinement, an overhaul to the policy of identifying suspected gang members, the right to make monthly phone calls, and improving rehabilitation programs. How can I stay updated on what's going on with the strike? At this time, there does not seem to be an individual leader of the movement, but the Prisoner Hunger Strike Solidarity (PHSS), has created a pretty impressive blog to stay up-to-date. 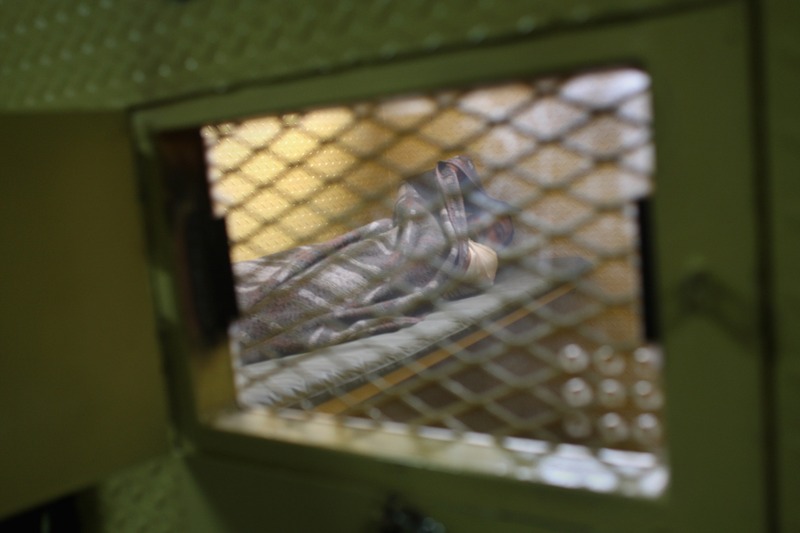 According to Jules Lobel, the president of the Center for Constitutional Rights and the lead lawyer in a federal lawsuit over solitary confinement, this strike is likely to last awhile. “Last time, they took promises of reforms, but they are not going to do that again, because two years later the reforms have not materialized in any real way,” Lobel told The New York Times. “This could become a very serious situation over time, because it seems we have a substantial group of people who are prepared to see it to the end if they don’t get real change,” he said.